In the decade after Nikolai Danilevskii (1822–85) published Russia and Europe (1869), the book for which he is best known, international events focused public attention on his ideas. He had argued that Russia should stop trying to be part of Europe, because Slavic civilization had different roots and would bear different fruits than the Germanic-Roman civilization of the West. Russia's historic mission was to liberate the southern Slavs still under Habsburg and Ottoman rule, and create a federation of Slavic states in eastern Europe, as a counterbalance to the power of western Europe. This would require Russia to deliver a bold answer to the Eastern Question hanging over the diplomatic establishment of Europe in the late nineteenth century, concerning the fate of the declining Ottoman and Austro-Hungarian empires. The Prussian victory over France in 1871 completed the unification of Germany under Otto von Bismarck's guiding hand. Bismarck demonstrated the success that was possible for a leader ambitious and resolute enough to pursue national goals to completion. Danilevskii envied Bismarck's successes and yearned for Russia to do for Slavdom what Prussia had done for united Germany. The Russo-Turkish War of 1877–78 seemed to provide an opportune moment, and Russian Pan-Slavists raised expectations to full crescendo. Danilevskii discussed both wars in the articles that make up this book: analyzing the significance of unified Germany and defeated France for Russia's diplomatic prospects; outlining Russia's interests in the Black Sea and Bosporus Straits; and lowering expectations for the outcome of a war with Turkey, in which so much of Europe claimed to have interests at stake. Russia won the war but lost the peace, surrendering its greatest gains from the war at the Congress of Berlin, hosted by Bismarck and driven by Britain's determination to bar Russia from the eastern Mediterranean to protect its access to India through the Suez Canal. 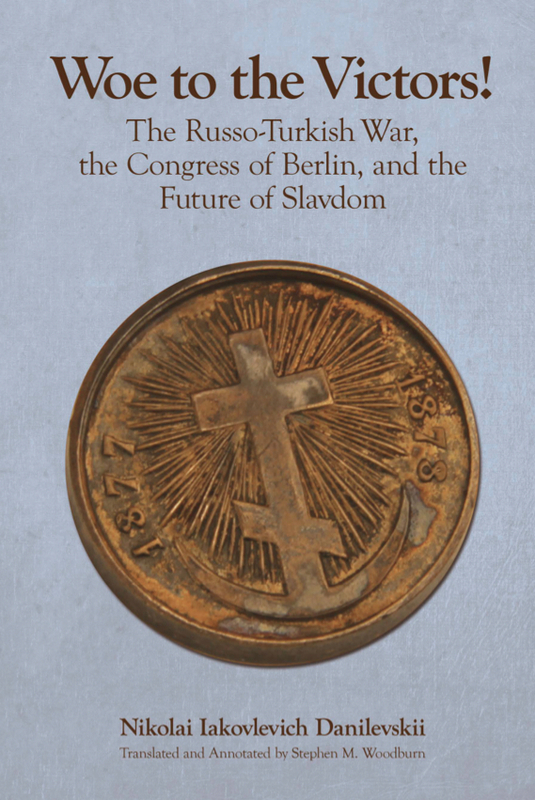 Danilevskii considered the results of the congress for the future of Russia and the cause of Slavic unification, in the article that lends this book its title, Woe to the Victors! Despite the author's pessimism about the outcome, many present-day Russians see new opportunities for Russia to assert its interests in the near abroad, and have taken a renewed interest in Danilevskii's works, most of which have been republished in recent years in print and online. As a result, the author has reached a far greater reading audience in the post-Soviet period than he ever attracted during his lifetime. Stephen M. Woodburn is associate professor of history at Southwestern College in Winfield, KS. His earlier translation of Nikolai Danilevskii, Russia and Europe: The Slavic World's Political and Cultural Relations with the Germanic Roman West, appeared in 2013.
Review in "Russian Review," Vol. 76, no. 1 (January 2017), 170-171 pp.